Likely given from mother to daughter, as an "everyday doll"
This doll, designed for everyday play, makes a fashion statement. Her beaded yoke and choker simulate precious dentalium shell. 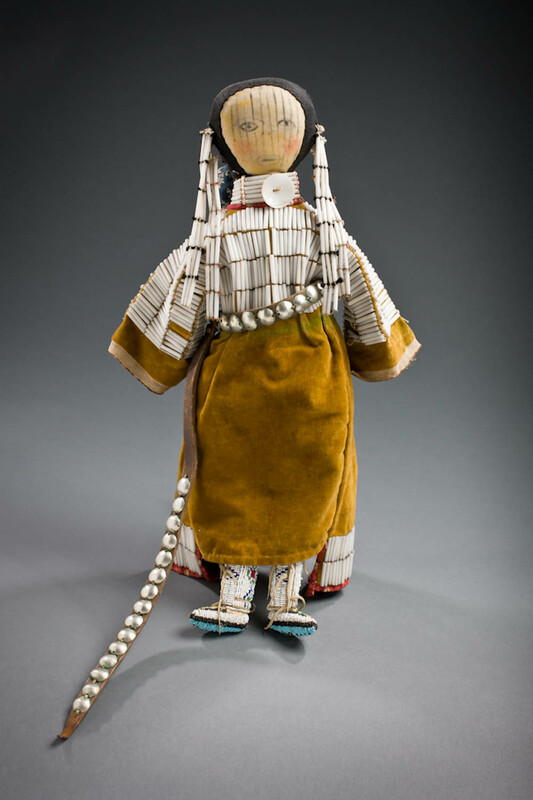 Her dangling earrings, long, silvery concho belt and beaded moccasins indicate that the doll's maker-likely the girl's mother-devoted much time and love to its creation.